Karen Hellesvig-Gaskell is a broadcast journalist who began writing professionally in 1980. Her writing focuses on parenting and health, and has appeared in ‚ÄúSpirituality & Health Magazine" and ‚ÄúEssential Wellness.‚Äù Hellesvig-Gaskell has worked with autistic children at the Fraser School in Minneapolis and as a child care assistant for toddlers and preschoolers at the International School of Minnesota, Eden Prairie. At least 13 million people in the U.S. have an overactive bladder, reports the University of Maryland Medical Center or UMMC. The bladder can become overactive when damaged nerves send out faulty signals that cause the muscles of the organ to suddenly tighten. Typical symptoms of an overactive bladder include an urgent and frequent need to urinate and waking at least once during the night to use the bathroom. In some cases you are unable to control urination, a condition known as urinary incontinence. Several natural supplements may help relieve the symptoms of an overactive bladder. Always check with your health care provider before taking alternative remedies to treat medical conditions. Constituents of cranberries can prevent bacteria from sticking to the bladder, which guards against infections that can aggravate urinary incontinence, reports the UMMC. The suggested daily dose of cranberries to support kidney health is 350 mg. Drinking approximately 12 oz. of unsweetened 100% cranberry juice may also suffice. 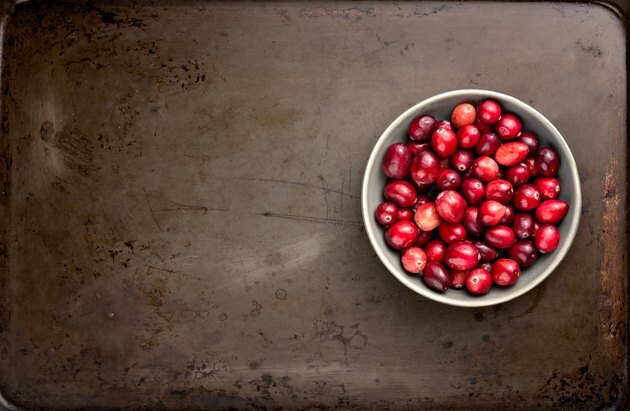 Ask you doctor about the benefits of cranberries for an overactive bladder. Green tea may help urinary incontinence due to its antioxidant properties and immune effects, notes the UMMC. The recommended daily dose is approximately 350 mg. Always check with your doctor before taking herbal remedies for bladder health. Horsetail is an herbal remedy that contains tissue-healing properties and is sometimes used to relieve urinary tract infections and kidney stones, according to the UMMC. A typical dosage of horsetail as a dietary supplement is 900 mg divided into three daily doses. Talk to your doctor before taking horsetail to treat urinary incontinence and/or an overactive bladder. Saw palmetto is sometimes used to treat bladder disorders, notes the National Center for Complementary and Alternative Medicine or NCCAM. The suggested dosage of saw palmetto for urinary incontinence caused by prostate problems is 160 mg 2 times per day. Consult with your doctor about the possible health benefits of saw palmetto. St. John's Wort may help relieve symptoms of an overactive bladder. An animal study published in July 2004 in the journal Urology found that St. John's wort calmed the bladder and prevented bladder muscle contraction in rats. The study was lead by R. Capasso of the Department of Experimental Pharmacology, University of Naples Federico II, Naples, Italy. The recommended dosage of St. John's wort for urinary incontinence is 300 mg up to 3 times daily, according to the UMMC. Talk to your doctor about the medicinal benefits of St. John's wort and possible adverse interactions with medications--like birth control pills.